Experience the wine capital of Australia like you’ve never seen it before. Wine is steeped in culture and history, and South Australia boasts some of the country’s finest vineyards. 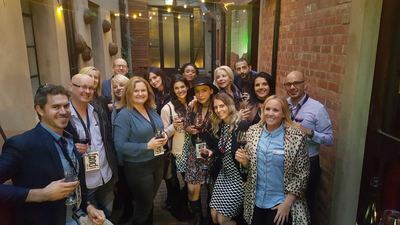 If you fancy yourself a bit of a connoisseur of wine, or are looking to expand your knowledge, then why not come along and explore Adelaide’s vibrant wine bar scene? 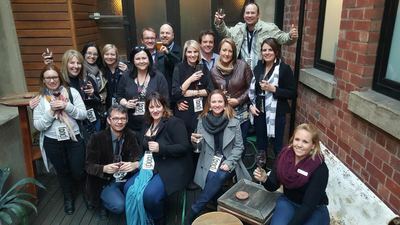 On this tour, you will visit establishments chosen for their historical significance and contribution to South Australia’s wine history, and listen to their fascinating stories. You’ll learn more about South Australia's wine and history. There is also an opportunity to taste wine with expert commentary at a number of the venues, and you will be able to purchase samples at a discounted price from the other establishments. Food samples are included in your tour price. The tour price includes light nibbles and wine samples at certain venues. Please note: This tour can accommodate dairy-free requirements on request, but cannot accommodate vegan. Please advise your dietary requirements when booking. Good amount of time in each bar. Not rushed. Tour guide quite knowledgeable of wine related questions. Interesting choice of venues. Overall very enjoyable. It was a really lovey way to spend an afternoon. Jo was great. It was a fun 3 hours - a nice group of people and Shane was a good guide. Didn't know those bars existed and particularly enjoyed the second bar in Wright Street - the young girl - Manager - was very knowledgeable. We had a great day out exploring new wine bars in Adelaide. Sabrina was an excellent host and we really enjoyed the company of the other people on the tour. Highly recommended. We had booked this tour because we'd heard on a previous Foodi tour that we got to visit the underground cellars and were quite disappointed that we didn't. However the three quirky little wine bars we did visit were great to find. Sabina was so lovely, as was the rest of the group and we all got along really well. 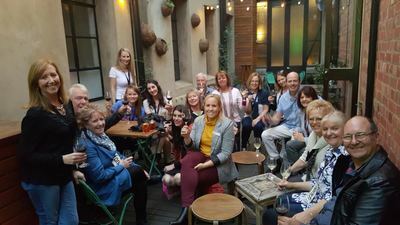 This is our third Foodi tour and as always was a wonderful way to spend time with friends. Sabina was really good. She has great humour and a nice personality and kept a balance between stops and walking. It would be better to add back the fourth venue even though it might add more time to the tour. The venues were all interesting although the last two were a bit noisy so harder to talk to our fellow tourers who we all a great sociable crowd a brilliant afternoon. Great tour guide, Sabina was very informative. The only thing that could be better is the nibbles while wine tasting. We only had nibbles at our first bar, it breaks up the different flavours so I think it is needed. Sabrina was a great host and took us to some terrific, Unknown gems. Will certainly recommend and book again. Great tour, great host, great food and great company. Good venues and a terrific guide. Great- The main reason we went was to see new wine bars that we didn't know existed. So it was great. Sabina was an excellent guide. She looked after us all and kept us on schedule. Dave's 'place' was the best and he was more then generous with his time and wine. Top spot. Overall very good.